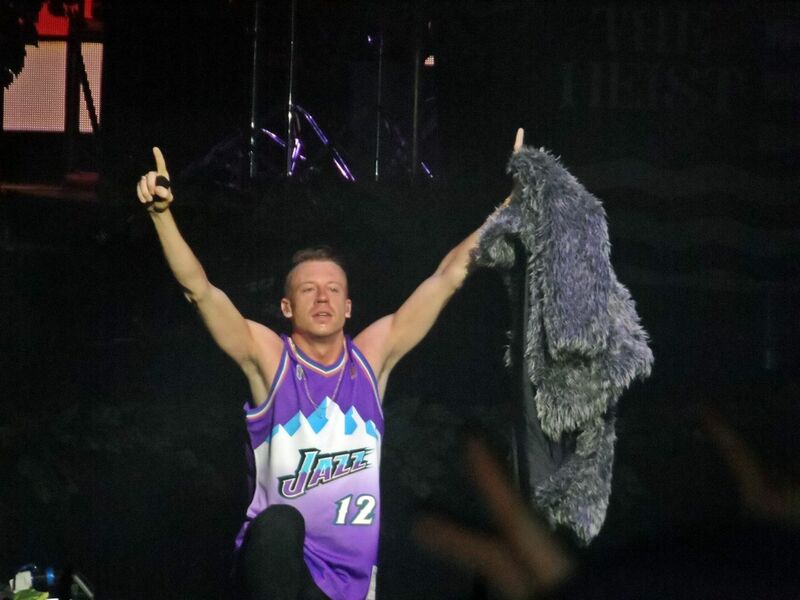 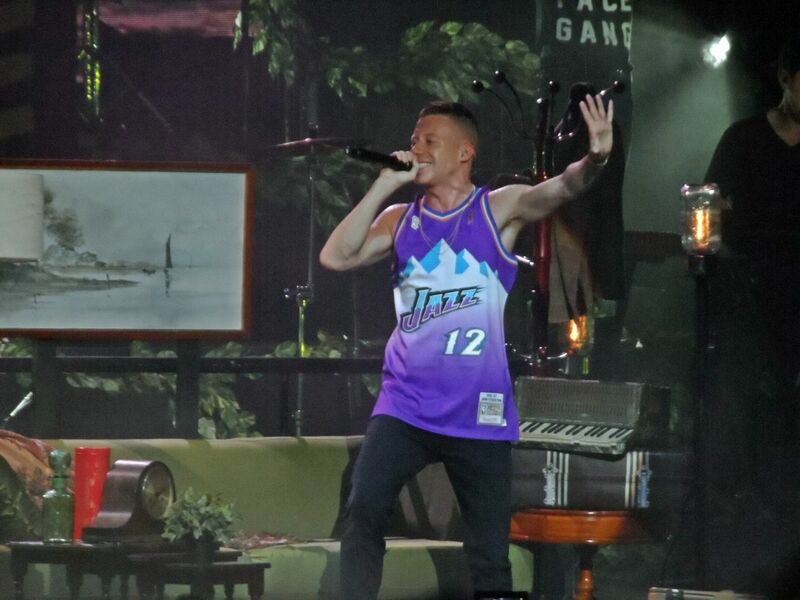 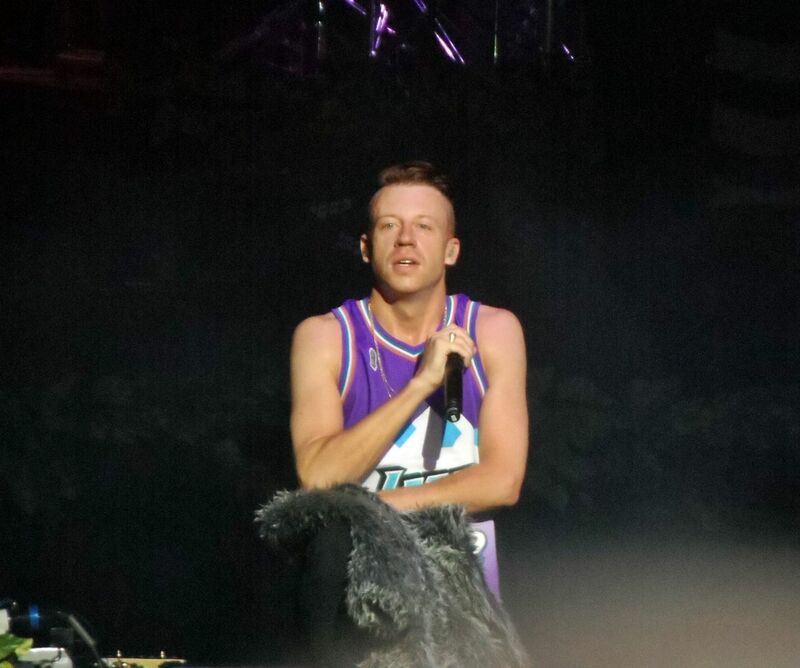 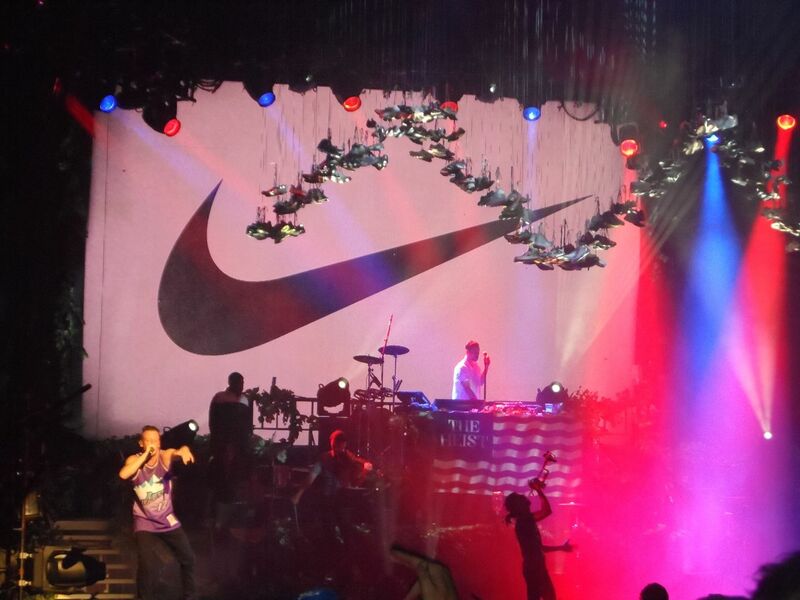 Last night I went to see Macklemore and Ryan Lewis at the O2 Academy in Brixton. 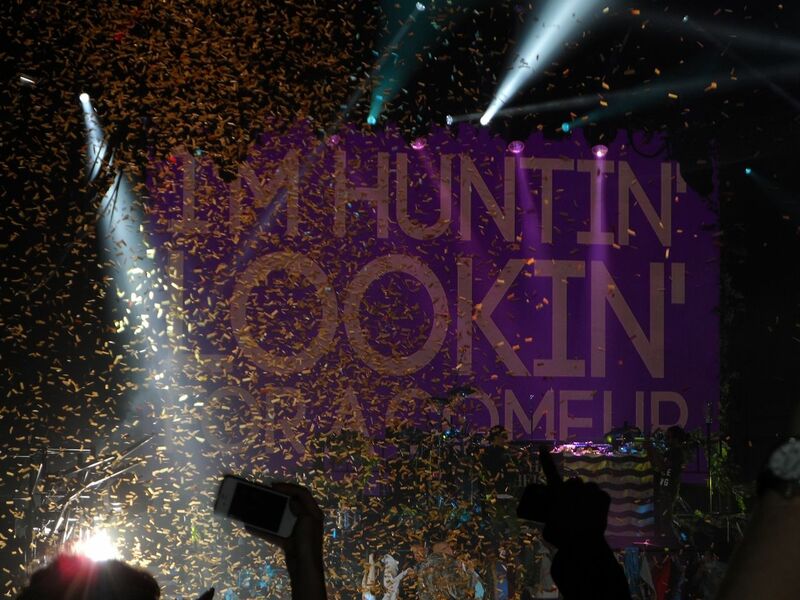 As soon as we arrived the queue was right out the door and inside was just as packed full of fans eager to see the rapper and producer duo. 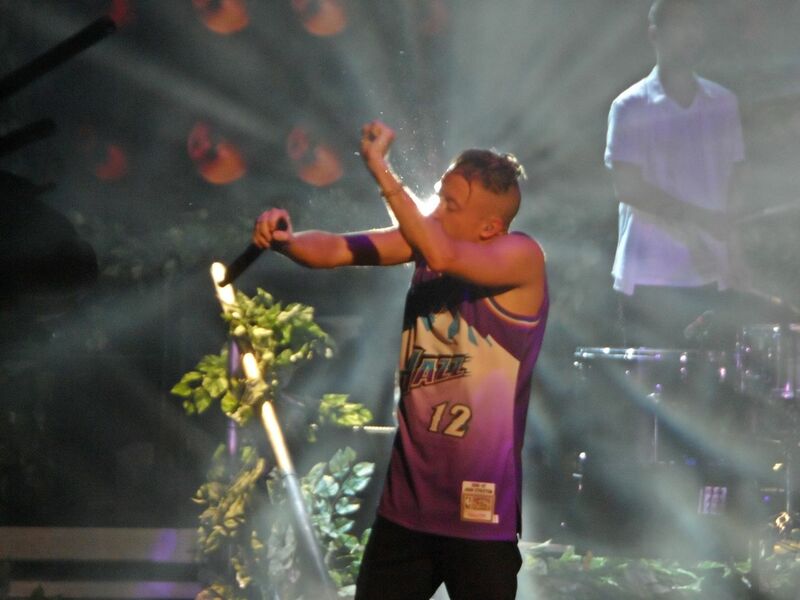 Hailing from Seattle in the States this was the second date at the Brixton Academy and also the second of their European tour. 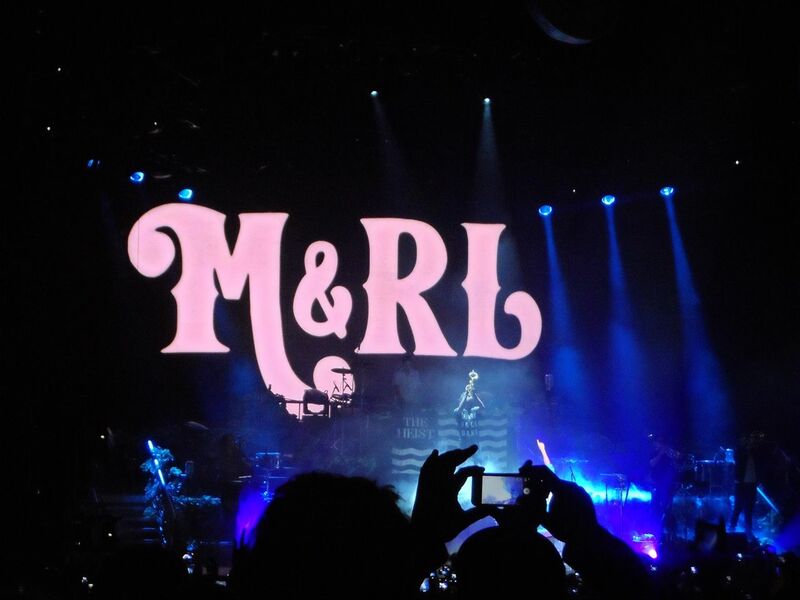 The stage was set with a giant M&RL sign in lights, massive screen with awesome graphics, Ryan Lewis behind the DJ booth which was decorated with ‘The Heist’ album sign and lots of props including a rail of clothes which accompanied ‘Thrift Shop’ and strings of Air Jordan trainers for ‘Wings’. 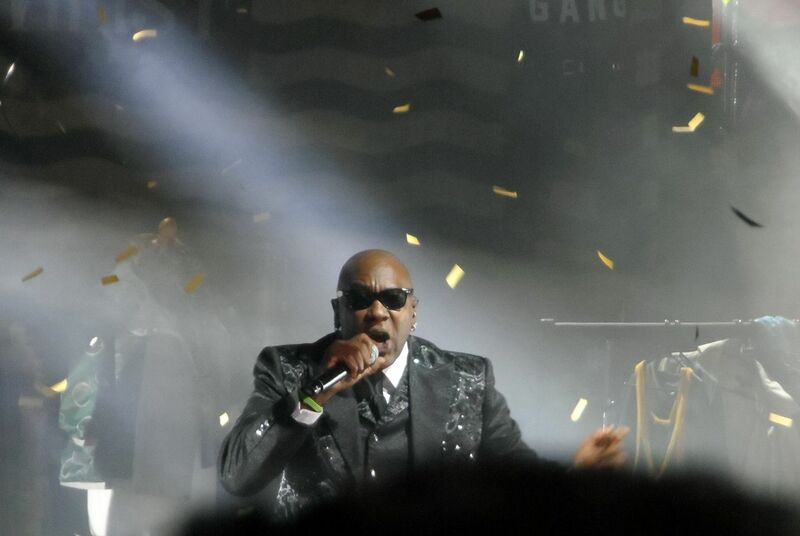 He was joined on stage by dancers and fellow singers for ‘Cant’ Hold Us” to which they played twice and both times were a crazy, energy filled performance with crowd surfing, ticker tape, streamers and balloons. 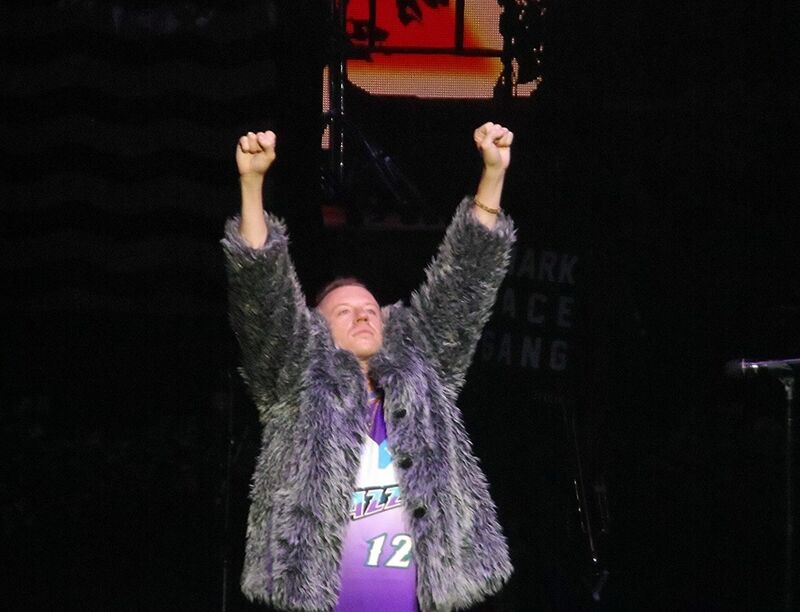 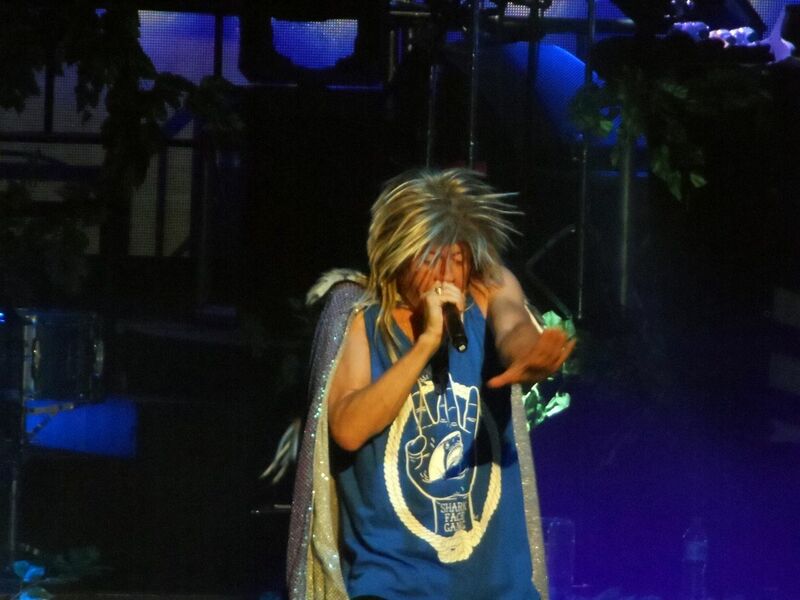 Give Macklemore a pot of glitter and I’ll call him the male Kesha.